Mozilla has finally released Firefox 3.6. You may have already been offered the update; if not, select Help > Check for Updates… and follow the wizard. Is it safe to upgrade? The main problem is add-ons compatibility. Mozilla has been working with developers for several months to ensure add-ons are compatible and most of the popular extensions already work. However, you may encounter add-ons which fail. Fortunately, the improved upgrade process will warn you when add-ons are incompatible and offer to abort the installation or disable the add-on until a new version is released. The first improvement you’ll notice is speed. Firefox 3.6 starts noticeably faster, performance has been improved, memory usage has been reduced, and the browser feels more responsive. Google Chrome users may still mock, but it’s a step in the right direction. Firefox personas are lightweight themes which can be applied without restarting the browser. In essence, personas are a couple of images applied behind the browser controls (similar Chrome’s theming). Personally, I think they’re a frivolous gimmick but I’m sure many users will love them. Finally, stability should improve thanks to Component Directory Lockdown. It prevents third-party developers sneaking extensions into the browser which can’t be uninstalled … supposedly for “your” benefit. CSS now offers gradients, multiple backgrounds, and scalable images. The new Web Open Font Format (WOFF) is supported. Open native video can be displayed full screen. Poster frames are also supported (an image which represents the video until it’s played). There are further facilities for selecting and handling files, such as drag and drop from your desktop to the browser. An orientation event is available to detect when a device such as a mobile phone has been rotated. This can be used to switch a page from portrait to landscape view and vice versa. These are all great additions, but be aware that many will only work in Firefox and could be ignored or throw errors in other browsers. Overall, Firefox 3.6 is a great browser. If you’re a Firefox user, there’s little reason not to upgrade. 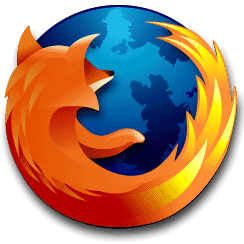 The speed improvements may also bring a few disgruntled users back to the Mozilla fold.